PT Studios have become increasingly popular. They offer clear advantages over both commercial gyms and working with clients at home. If you're a personal trainer looking at having your own studio, either alone or with other trainers, read on to discover how we can help you make this dream become a reality. For clients who don’t want to meet with you at home there are clear advantages to working in a PT studio rather than a commercial gym. For one there is no queuing for equipment and no waiting around wasting precious time. There is no monthly membership fee required; rather the client will simply pay you for the time they use. And finally, clients say they prefer the privacy of a PT studio over that of a gym, which can to some be a very public, intimidating environment. PT studios also offer clear advantages over working with clients at their home. It is certainly more professional and you get the equipment that you want to work with as opposed to the equipment a client has. Home environments are often not the best place to work out. Sometimes space is minimal and clients can often be distracted by other commitments, in some cases the phone only has to ring and that’s it, concentration gone! PT studios in contrast will have the equipment you want, the space you need and offer clients privacy and ultimately an effective workout that really achieves results. It is essential that we understand your business, will you be working alone in the studio or working with other PT’s? Will clients be in the studio on their own or will you be training people in small groups? From this we can design a bespoke gym that is right for your studio. Depending on the studio you have it is key that the gym we develop is functional for the space you have. You don’t want your studio to look either overcrowded or simply empty. We will put together a gym design for you that properly uses the space you have. In addition, we will look at the possibility of installing changing rooms and shower facilities. Ensuring that the studio is popular and clients want to use it depends upon the right choice of gym equipment. Once we understand your business and needs we will select the equipment that best meets the brief. We will advise you on what we believe clients most want from a PT studio based on our experience in this area. 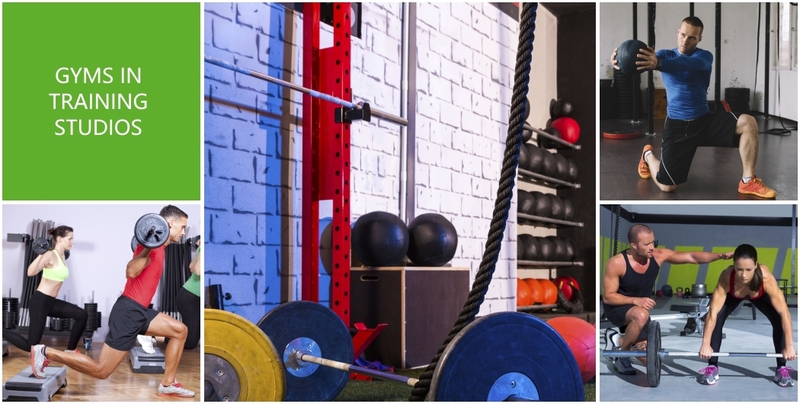 This will encompass advice on the gym equipment itself but also other aspects such as the lighting, flooring and heating of your studio and the overall creation of a stimulating gym environment. We have the expertise to ensure that whatever your budget your money is spent wisely. From the initial design of your gym, to advice on budget and products, we have the experience and technical knowledge to ensure that your studio works for you. In addition one of our team, Ian Groves, currently owns and runs a PT studio, so can bring real hands on advice to any Personal Trainer looking to do the same thing. + Contact us now to find out more.